Happy Day after Valentine’s. Anyone else gorge themselves way too much on chocolate? I know that I did. I think that’s the point of Valentine’s Day. Right? Oh well if it’s not. It’s how we celebrate it. 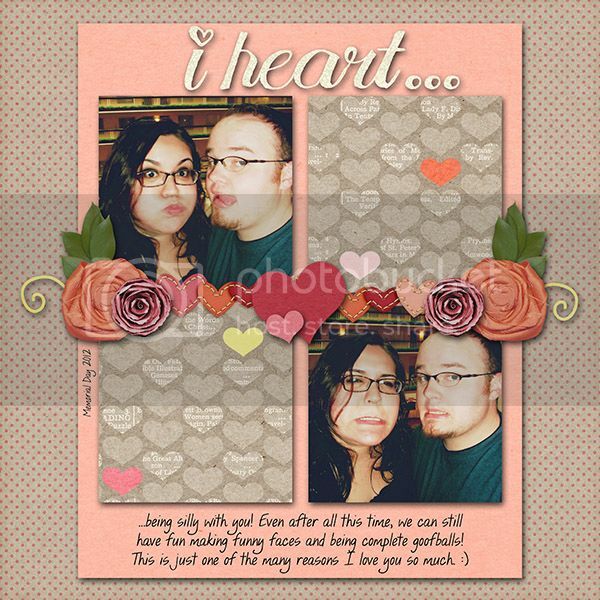 I am loving looking at the love-filled layouts with this month’s buffet, Listen to Your Heart. I picked from the Buffet Challenge gallery this week, and if you’re wanting an “easy” challenge to do, this is definitely one for you! Created by our own Spotlight Challenge host, Ambelleina. I have to giggle at the pictures. I love layouts that talk about why they love their significant other!